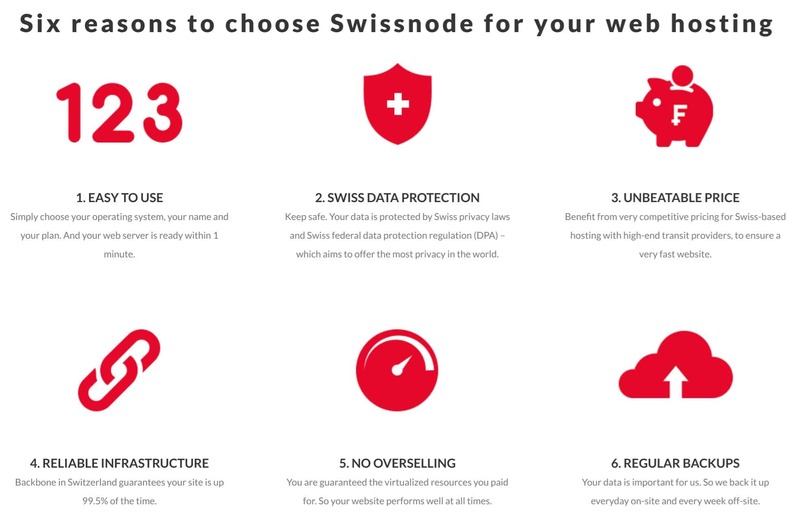 Swissnode Review 2019: Is Swissnode a Good Hosting? Swissnode has servers in Switzerland and its head office in… Spain. Its SSD storage and Cloudflare CDN should speed up your website. Swissnode is a web hosting provider with its office in Spain and a data center in Switzerland. It provides shared SSD web hosting, Kernel-based VPS hosting, email hosting, and domain registration services. 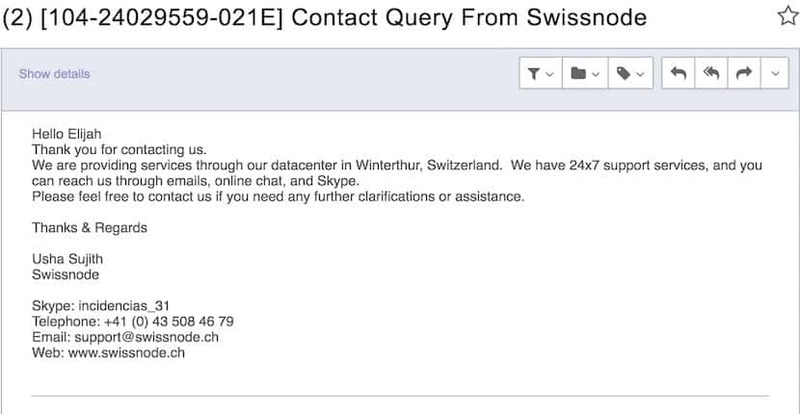 The Swissnode website is in English. Swissnode offers four levels of SSD web hosting: Standard, Mini, Large, and Reseller. The entry-level Mini plan features 1 GB of SSD storage for one domain, one database, and 1 GB of monthly bandwidth. For more data, the Standard plan includes 5 GB of SSD storage, 10 GB of monthly bandwidth, five active domains, unlimited subdomains, and five databases. For an additional monthly fee, customers can also add the Swiss Antispam Advanced email filtering program to their email account to protect against spam, phishing, viruses, and password theft. Swissnode’s shared web hosting is priced relatively high considering the amount of data included with each plan. The Mini hosting plan costs about the same as a kid’s fast food meal per month, but for only 1 GB storage (albeit SSD-based). The prices are about 20%-50% higher than comparable European entry-level SSD hosting. One caveat to the cost of Swissnode’s plans is its pricing guarantee that promises, “if lower prices are found elsewhere, they will put together a custom offer for that customer.” And domain registration is offered at below-average prices. All plans apart from the ‘Mini’ starter plan can be purchased monthly or annually, and you get two months worth of free hosting in exchange for an annual commitment. Self-support options are more limited as there is nothing in the knowledge base. European web host Swissnode has its office in Spain and its servers in Switzerland. Its hosting plans are priced higher than average for the amount of data, but this host provides the perks of SSD storage and the Cloudflare CDN for faster page loading. Wondering how Swissnode stacks up against other Web Hosting companies? Enter any other Web Hosting company and we will give you a side-by-side comparison.